We had quite an amazing day on board the Asteria today! This morning, humpback whales Osprey, Eraser, Pleats and Weathervane were hard at work corralling sand lance with their bubble nets. One bubble net started surfacing right on our bow and we clutched out and waited for the group to surface. Soon enough, these enormous whales came lunging out of the water with mouthfuls of fish and seawater close enough to reach out and touch! While the boats maintain safe distances from the whales, sometimes the whales come to us! That's why captains have to take the boat out of gear until the whales move away. But oh the front row seats! 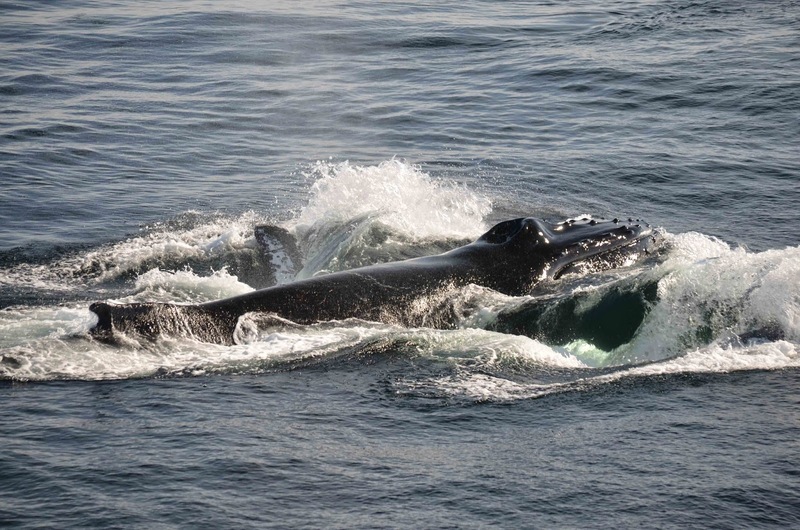 As we watched the feeding humpbacks, Echo was kickfeeding nearby with her calf playing by her side. 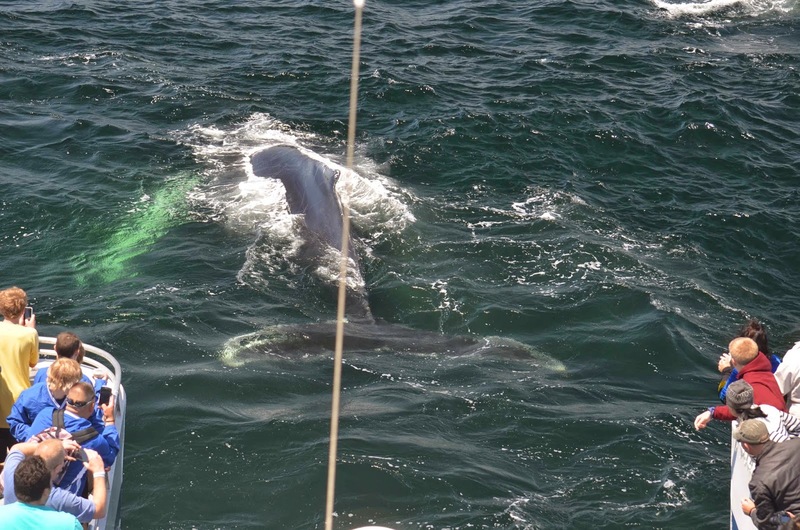 At different points, a humpback named Amulet and a fin whale each came through for a couple bites before they continued on their way. 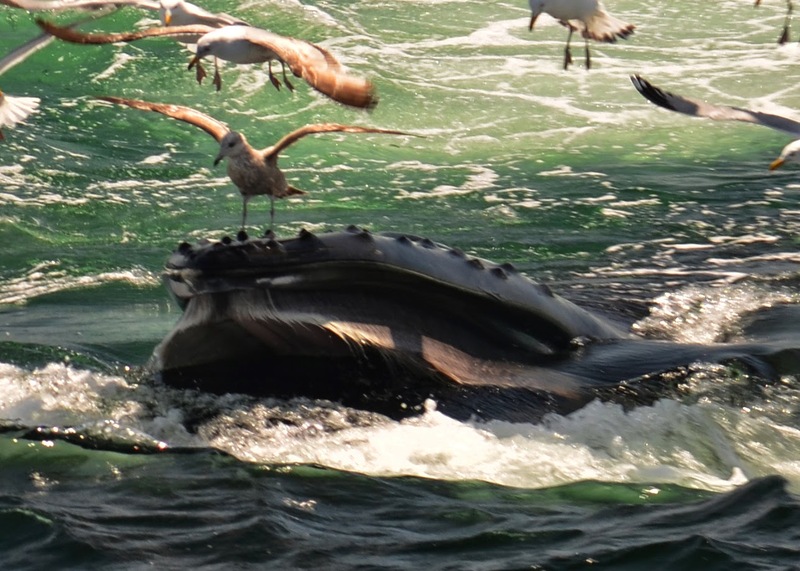 Of course these days, a whale watch isn’t complete without seeing a seagull sitting on a whale’s head (see photo). And why would it be? Though this sounds bazar, we see this just about every day as the seagulls fight to literally steal food out of the humpbacks’ mouth. An unseen force drives the bait to surface. This afternoon we saw activity I have always HEARD about but have never ACTUALLY seen. That is lunge feeding finback whales! 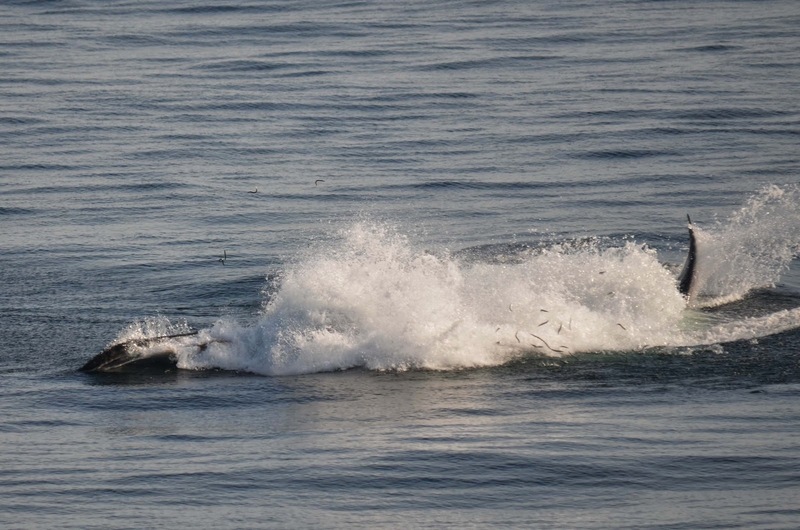 Fin whales, like humpback whales, lunge feed on sand lance. 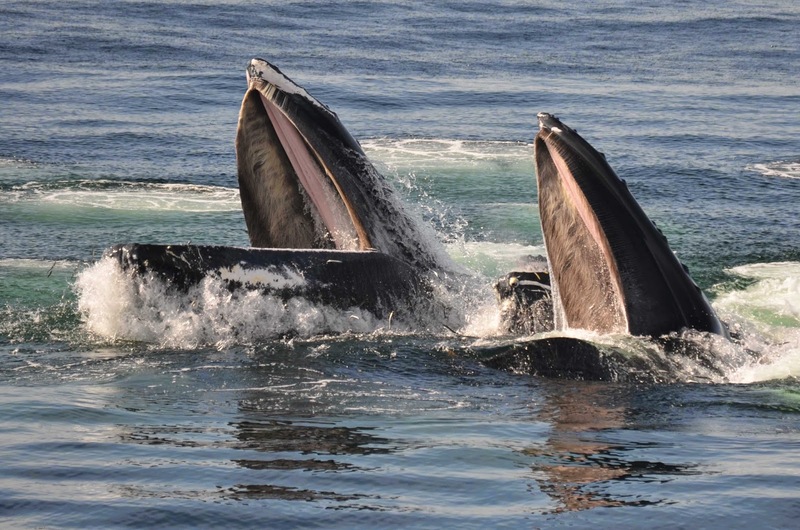 Their throats swell with sea water as they charge forward and the fish are then filtered out of the water through their baleen. 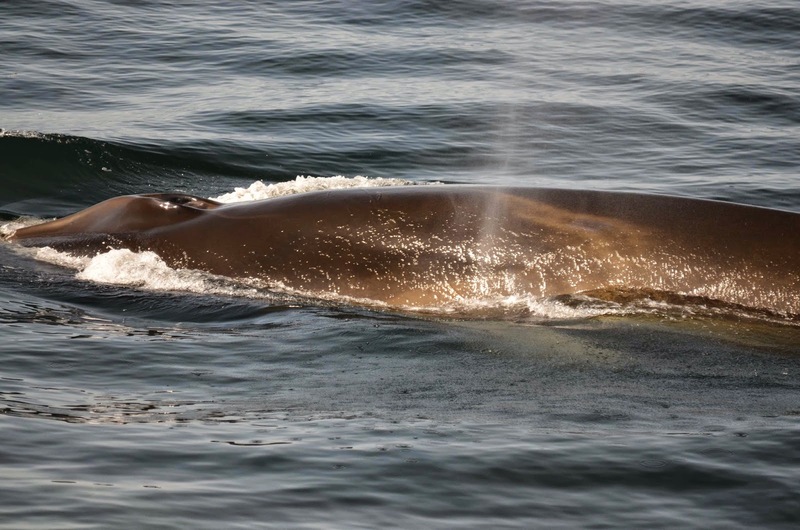 The thing with fin whales is that they swim very quickly and can be quite evasive so, you just don’t usually see them lunge feeding. Today, however, the bait in the water was EVERYWHERE. 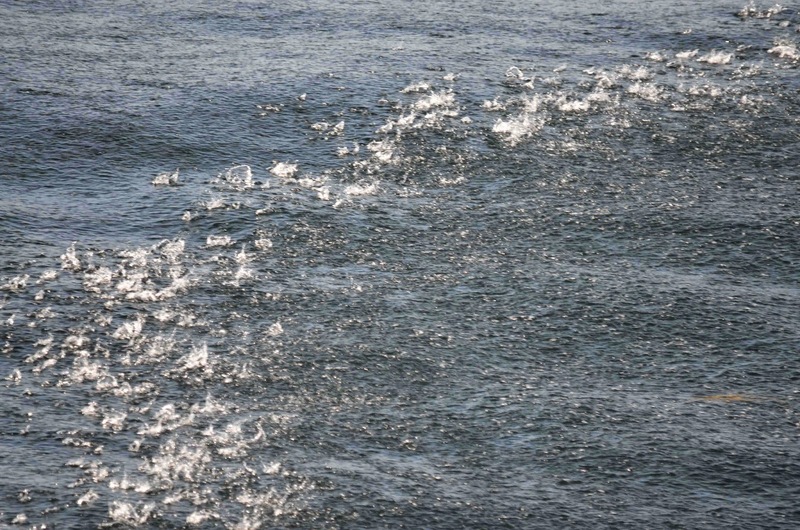 It looked as if it was suddenly raining all around us because there was an unknown force, most likely tuna (today was the first season of tuna season by the way), forcing the fish to the surface of the water (see photo). You could hear the rain-like sound of the fish come in waves all around the boat as the unseen force drove the fish towards the ocean’s surface. We observed this phenomenon occurring for hundreds of yards into the distance. 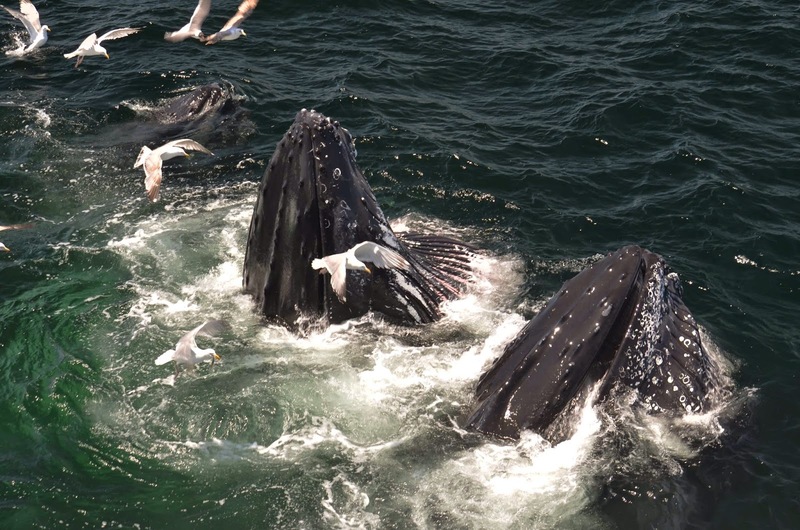 I imagine this commotion attracted animals from all corners of Massachusetts Bay including two enormous fin whales. 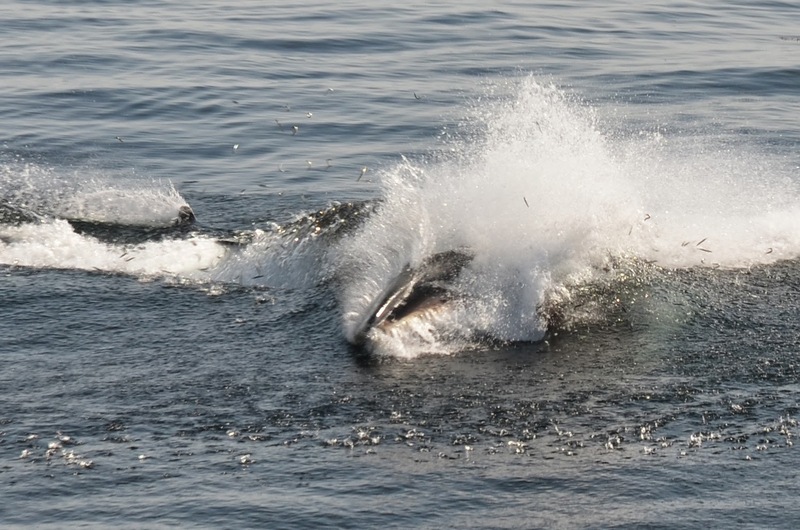 The fin whale duo circled the fish forcing them into a tightly packed ball of bait and then in unison lunged forward on their sides creating and enormous wave and sand lance flying through the air. 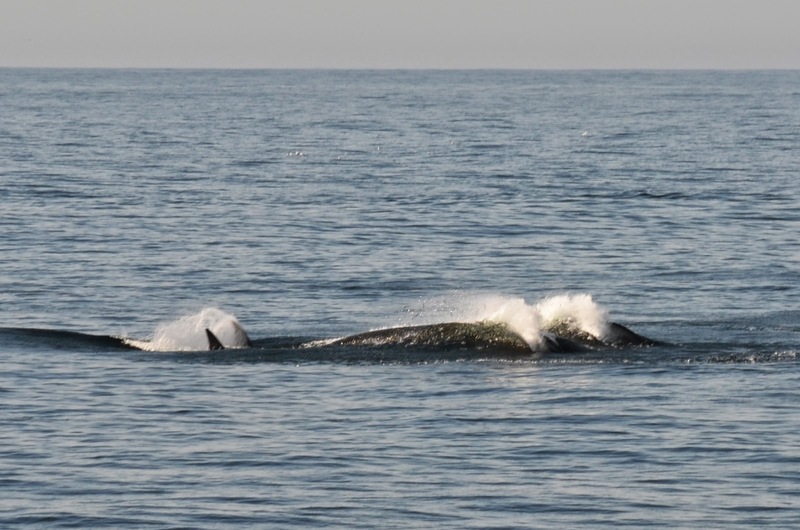 The fin whales separated quickly but each continued to lunge feed very close to the boat. The wave created as soon as they opened their mouths was immense. As they circled around the fish, the drag created the second their mouths opened caused their bodies to snake sideways appearing very much like a shark from above. It was incredibly fascinating to watch these whales feed in a way I have never seen before! I can’t forget to mention that we again saw amazing lunge feeding by Canine, Pepper, Orbit, Jabiru and Amulet. Tornado and her calf also stayed with us for quite some time. We watched Tornado exhibit some unusual feeding behaviors involving simultaneous pectoral slaps, a tail lob and bubble feeding while the subdued calf swam nearby. A handful of minke whales sporadically came through to join in on the feast! It was an unforgettable day on Stellwagen Bank!